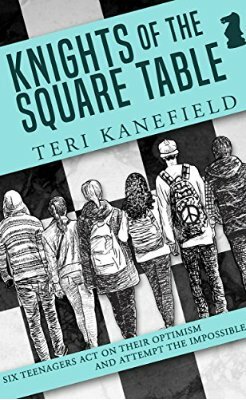 Six precocious teenagers from different backgrounds share one thing in common; they are all members of the San Francisco All Star Chess Club. The ninth graders are on the way home from Germany after a sixth place finish in an international competition when their plane goes down due to an avionics failure. They land on a remote island in the North Atlantic in the subarctic. More than sixty passengers face freezing conditions and lack of food supplies to survive. These six teens take charge and prevent disorder, using their multiple talents to create a source of heat, trap food in the ice, and calm the fears of panicked passengers. They even figure out a way to handle Veronica, a kleptomaniac who keeps stealing food from the other passengers. Thanks to their efforts, the survivors are eventually rescued. But the story does not end there. These six friends gather together to figure out a solution to a nuclear missile crisis. When an Asian dictatorship threatens to fire a nuclear missile, the teens figure out a way to break into that country’s computer system and bribe them into entering peace negotiations to save face. I am sure the world is in for lots more from these indomitable teens in the next two books of the trilogy. This series is targeted for ages nine and older. While the inevitability of the solutions seems too simplistic in some instances, the characters are well-developed, each having strengths and flaws. Middle grade and young adult readers will find much in common with them. Plot is fast paced and I felt compelled to keep reading. Recommended for readers who enjoy adventure stories with clever protagonists and plots containing thought provoking issues. What a nice alternative to The Lord Of the Flies. There are a lot of amazing kids out there. It’s good to see some fiction focusing on their positive potential. I agree. We need a lot more books promoting the positive attributes that kids are capable of displaying. Sounds like an interesting book. I could never figure out how to play chess. Thanks for sharing at the #LMMLinkup this week.